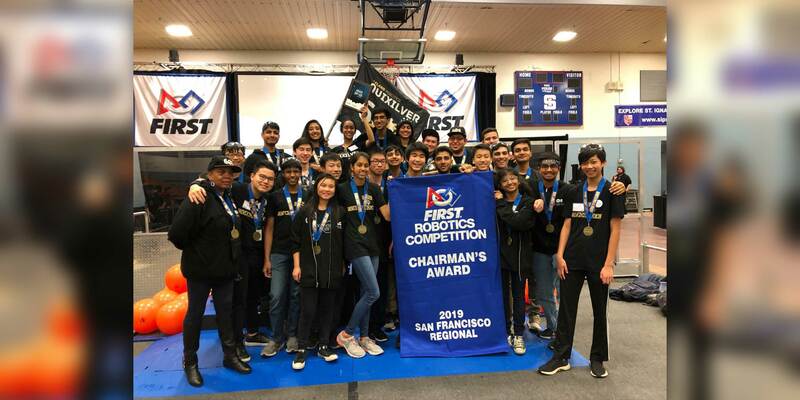 Congratulations to the 43 Teams from California, Hawaii and Turkey PLUS all the Mentors, Volunteers, Sponsors, Friends and Family members who participated in the San Francisco FIRST Robotics Regional, March 14-17, 2019! ADVANCING TO CHAMPIONSHIPS IN HOUSTON!!! The following teams and individuals earned top honors at the San Francisco Regional and earned their way to compete at the FIRST Championships in Houston in April. The Chairman’s Award represents the true spirit of FIRST. It honors the team that best serves as a model for other teams to emulate and that embodies the goals of FIRST. It remains FIRST’s most prestigious team award. The Chairman’s Award is presented to the team judged to have the most significant measurable impact of its partnerships among its participants, school, and community over a sustained period, not just a single build season or school year. The winner is able to demonstrate progress towards FIRST’s mission of transforming our culture. The recipient will be invited to the FIRST Championship where it will compete for the Chairman’s Award against the winners from all the other qualifying events. The Engineering Inspiration Award celebrates outstanding success in advancing respect and appreciation for engineering within a team’s school and community. This team will advance to the Championships and receive a $5000 NASA grant toward registration. This award celebrates a 1st year team demonstrating an early but strong partnership effort, implementing the mission of FIRST. 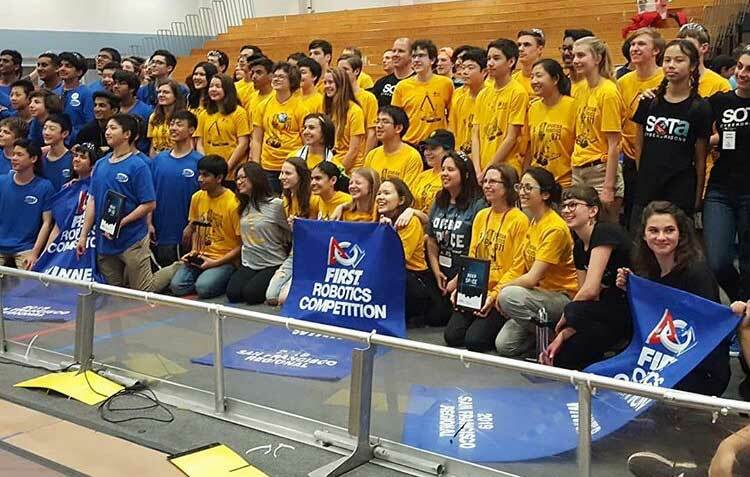 Its winner understands what FIRST is really trying to accomplish and realizes that technical work is fun and challenging, made better by building a partnership among team, community and school. This is not an easy challenge for a rookie team but the judges want to recognize and reward one team that got it right. In an effort to recognize the leadership and dedication of FIRST’s most outstanding FRC students, the Kamen family sponsors an award for selected top students known as the FIRST Dean’s List. This award celebrates a student’s outstanding leadership and effectiveness in advancing respect and appreciation for engineering and engineers, both within their school, as well as their community. 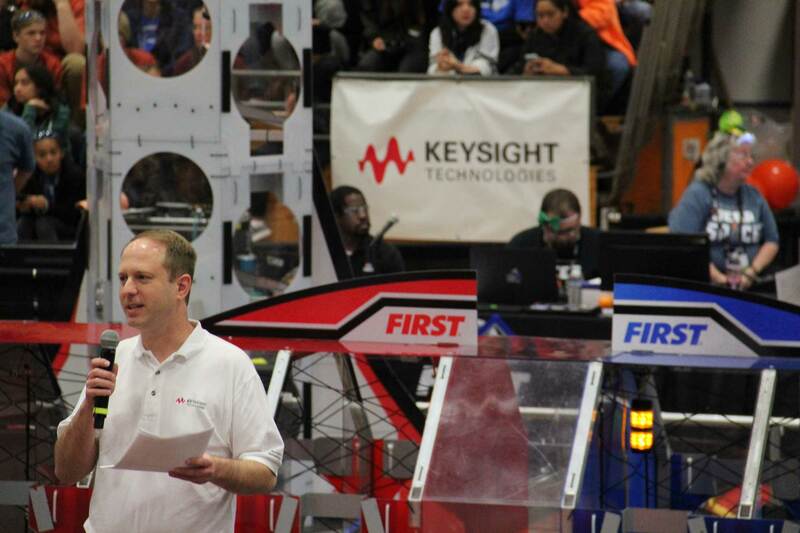 FIRST Dean’s List Finalists will compete at the championship for the FIRST Dean’s List. Frank impacts our community in numerous ways, as a FIRST Senior Head Ref, San Francisco Regional Planning Committee member, Monterey Bay Regional Planning Committee member and Head Ref, Scholarship Provider Coordinator for the Bay Area, and more. Plus, he is an awesome grill master and we look forward to Frank’s famous ribs! Congratulations to the Teams and individuals that earned the remaining awards at the San Francisco Regional! See the list here. An immense THANK YOU to all the Sponsors who contributed to this very successful Regional with funding, mentors, volunteers and enthusiasm! Regional Sponsors include the Brin Wojcicki Foundation, Oracle, Keysight Technologies and PWC. 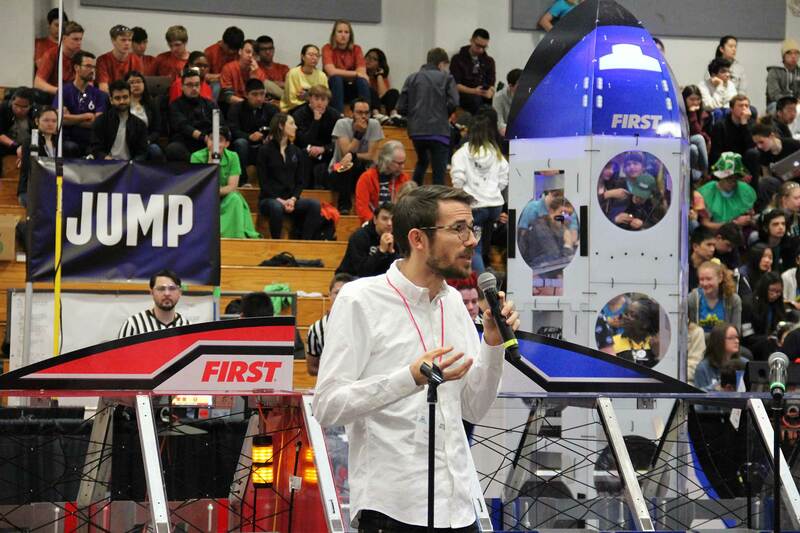 The San Francisco Regional LAUNCHED with an opening ceremony speaker Jessica Marquez, NASA Ames Research Scientist. She truly captured the attention of the audience and inspired our students, mentors and volunteers alike. We are in DEEP SPACE appreciation for Keysight Technologies, our generous sponsor of the San Francisco Regional. Sunday’s opening ceremony speech by Greg Vanwiggeren, R&D Integrating Manager at Keysight Labs included this inspirational video. We hope you too had a memorable experience at the San Francisco Regional. We’d love to hear your stories. Please consider sharing them with us here in the comments below or on our facebook page. Photo and video links welcome!